Preacher TV show on AMC. 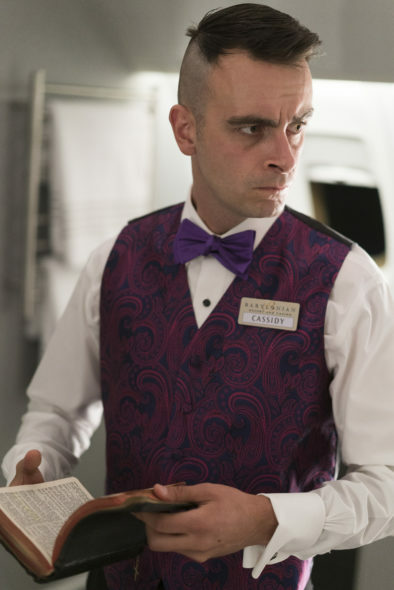 Pictured: Joseph Gilgun as Cassidy. Photo Credit: Lewis Jacobs/AMC. Something is coming. Below, watch the “A Look at Series” video of the new Preacher TV show, premiering on AMC, Sunday, May 22, 2016 at 10:00pm ET/PT. Based on the Garth Ennis/Steve Dillon comic, The Preacher TV series adaptation comes from Seth Rogen and Evan Goldberg. Executive producer Sam Catlin is showrunner. Preacher stars Dominic Cooper as Jesse Custer. Joseph Gilgun is Cassidy. Ruth Negga is Tulip. The Preacher TV show cast also includes Lucy Griffiths, W. Earl Brown, Anatol Yusef, Tom Brooke, Derek Wilson, and Ian Colletti. Watch Seth Rogen, Evan Goldberg, and Sam Catlin, with stars Dominic Cooper, Ruth Negga, and Joseph Gilgun, as they try to explain the wildly weird world of Preacher. It sounds like an easier task than it is. Throughout the video, the cast and crew hem and haw, stammer, stutter, and draw blanks as they try to describe the show. Preacher TV show on AMC: season 1, pilot. Pictured: guest Irungu Mutu as African Preacher. Photo Credit: Lewis Jacobs/AMC. They offer up a lot of answers such as, “If I tell you, it will ruin it,” and “I think that it’s sort of,” and “It reminded me of, um, things that I loved…uh…” Easy for them to say. Did you watch the video? Are you familiar with the Preacher comics? If so, hit up the comments and see if you can tell the Preacher cast and crew how to explain their show. Preacher TV show on AMC. Pictured: Anatol Yusef as DeBlanc, Tom Brooke as Fiore. Photo Credit: Lewis Jacobs/AMC. “Preacher” is a supernatural, twisted and darkly comedic drama that follows a West Texas preacher named Jesse Custer, who is inhabited by a mysterious entity that causes him to develop a highly unusual power. Jesse, his badass ex-girlfriend Tulip and an Irish vagabond named Cassidy come together and when they do, they are thrust into a crazy world populated by a cast of characters from Heaven, Hell and everywhere in between. Preacher TV show on AMC. Pictured: Derek Wilson as Donnie Schenck. Photo Credit: Lewis Jacobs/AMC. What do you think? Are you a fan of the Preacher comic series? 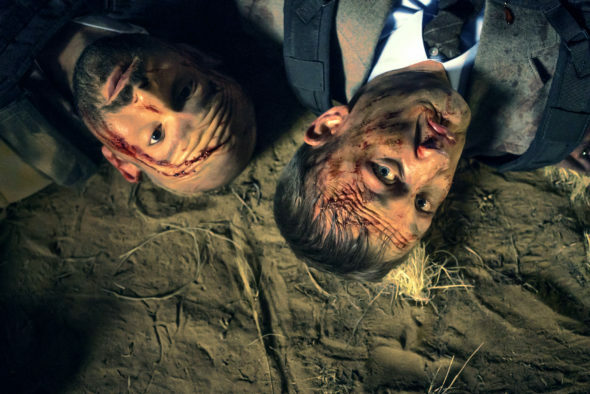 Do you plan to watch the Preacher TV series premiere on AMC? 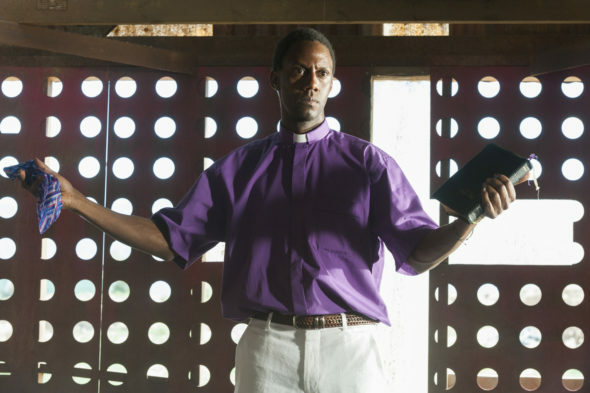 More about: AMC TV shows: canceled or renewed?, Preacher, Preacher: canceled or renewed?